Applications are invited for the following posts under Health Research Scientist Cadre of ICMR Rules, 2007 for the Hqrs. Office. MBBS Degree recognized by the MCI. 10 years R & D research management experience in any area of Medical discipline/including experience of publication/editing of scientific journals/books/bulletins in recognized institute(s) after obtaining essential qualification (i) out of which at least 3 years in a managerial position to handle publications/editing of scientific journals/books. MBBS Degree recognized by MCI. Eight years R & D research/teaching experience in the area of PSM/Community Medicine/Microbiology/Pediatrics/medicine in recognized institute(s) after obtaining essential qualification (i) out of which at least 2 years in managerial position to handle R & D projects in a team effectively in a directing capacity. Additional Post doctoral research/teaching experience in the above mentioned subjects in recognized institute(s). MBBS Degree recognized by MCI. OR Ist class Master’s degree in Life Science subjects such as Microbiology, Molecular Biology, Biotechnology, Biochemistry etc. OR 2nd Class M.Sc + Ph.D degree in Life Science subjects mentioned above from recognized University. Eight years R & D research/teaching/research management experience in managing project in the area of health research including interaction with other agencies in recognized institute(s) after obtaining essential qualification (i) out of which at least 2 years in managerial position to handle R & D projects/ research management in a team effectively in a directing capacity. Doctorate Degree in the biomedical subjects mentioned above from a recognized university for candidates with first class relevant degree OR MD/Postgraduate degree in any medical subject recognized by MCI. MBBS degree recognized by MCI or 1st Class Master’s Degree in any Life Science/ Biological Sciences/ related subject from a recognized University or 2nd Class M.Sc. + Ph.D degree in Biological Sciences/ Bio- chemistry/ Genetics/ Bio-technology or equivalent degree etc. from a recognized University. Upper age limit is relaxable to SC/ST & OBC candidates & Government servants as per provision made in Health Research Scientist Cadre (HRSC) of ICMR rules 2007. One time age relaxation is also allowed to Scientists & Technical staff working/worked in long term projects of ICMR Institutes/Centres as per HRSC Rules, provided they meet essential qualifications and experience for the post with a view to provide them opportunity to compete with other candidates as per Council’s letter No. 6/1/2007-Admn.II dated 28.03.2011. Forms duly completed together with application fee of Rs.100/- by crossed IPO only, drawn in favour of D.G., ICMR New Delhi should be sent to Admn. 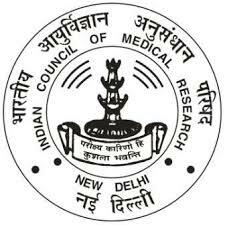 Officer (Admn I), Indian Council of Medical Research, V. Ramalingaswami Bhawan, Ansari Nagar, Post Box No.4911, New Delhi-110029, so as to reach on or before 16th Dec 2013 SC/ST/PH and women candidates are exempted from this payment of application fee. Like other candidates the departmental candidates are also required to pay application fee alongwith application form.